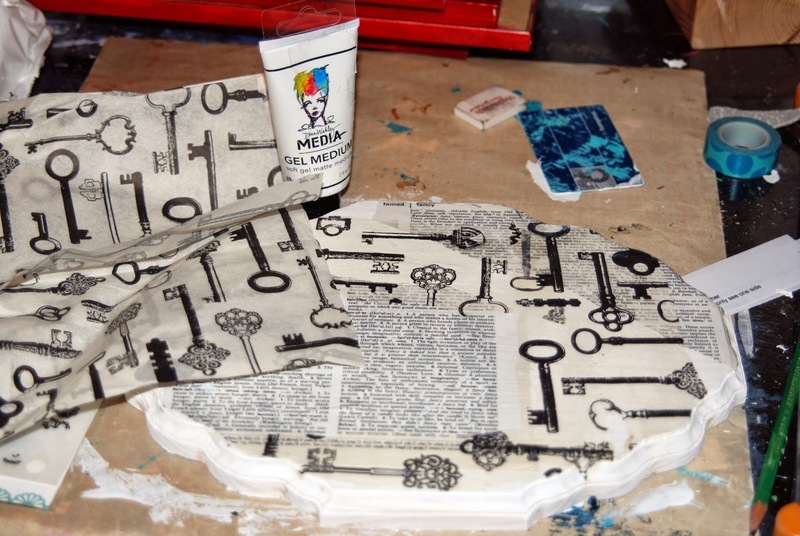 Eclectic Paperie: Using Mixed Media in Home Decor! Hi EPeeps!! Well, I didn't realized was how CrAzY things were going to get around the house and how MY art time was going to be slashed when we moved into our new house! I did find away around losing art time ... making new decorations for the house!! Our new entrance way needed some personalization, and while I was at the store I found a pack of home decor paper that came with design ideas. So, as tired as I was, I decided to use one of the ideas from the paper pack. But of course, I needed to put my own spin on things!! 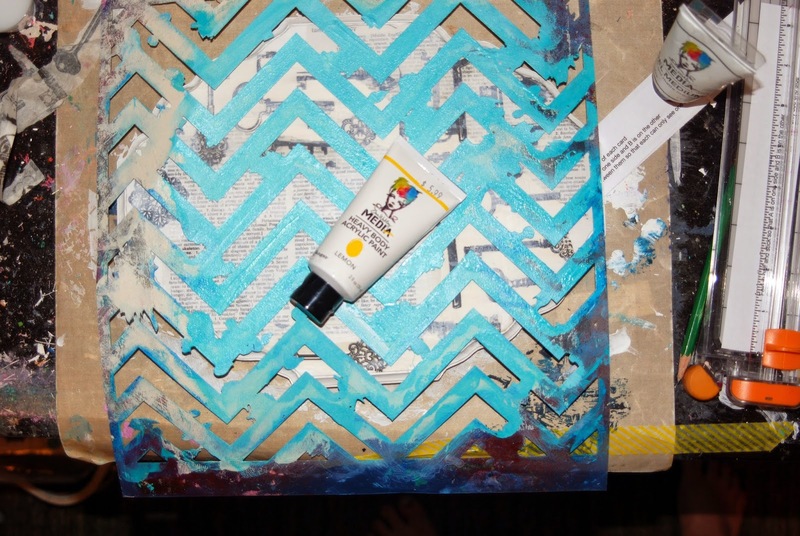 Luckily, with all my supplies from EP - I made this finishing piece!! 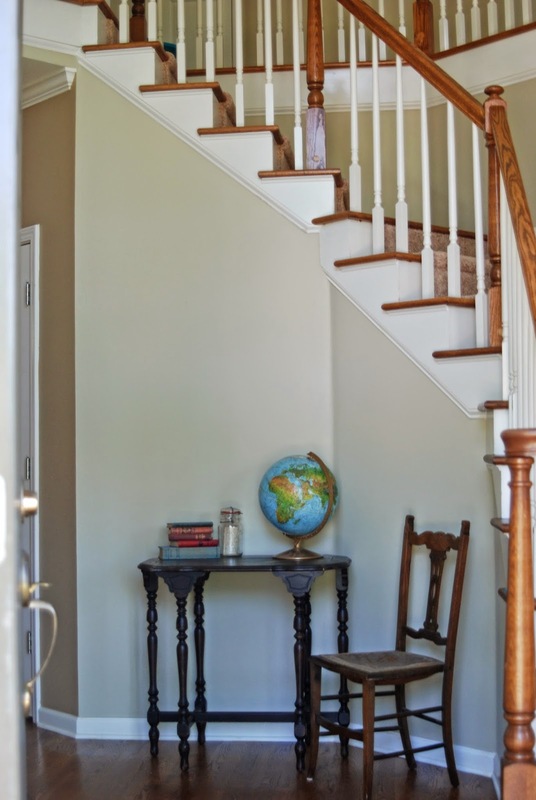 Here is the Before picture of our entrance way! 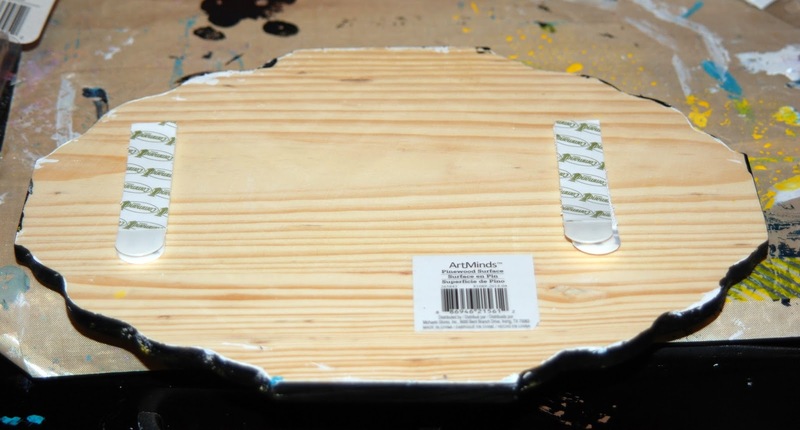 So for the final piece, I started with a plain wood plaque piece. 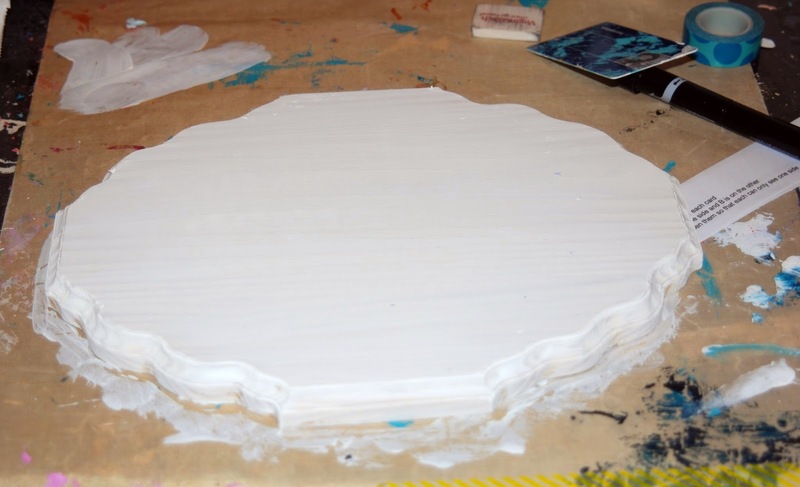 I coated it with gesso. 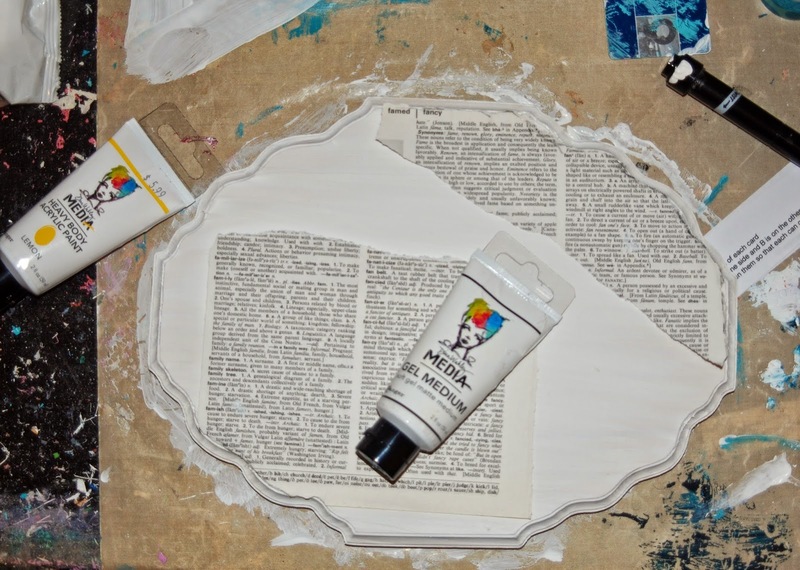 I used Dina Wakley gel medium to 'glue' down some dictionary paper. And some fun Tissue paper for some visual interest. Then I realized that the black and white keys and text were just a little too bold. 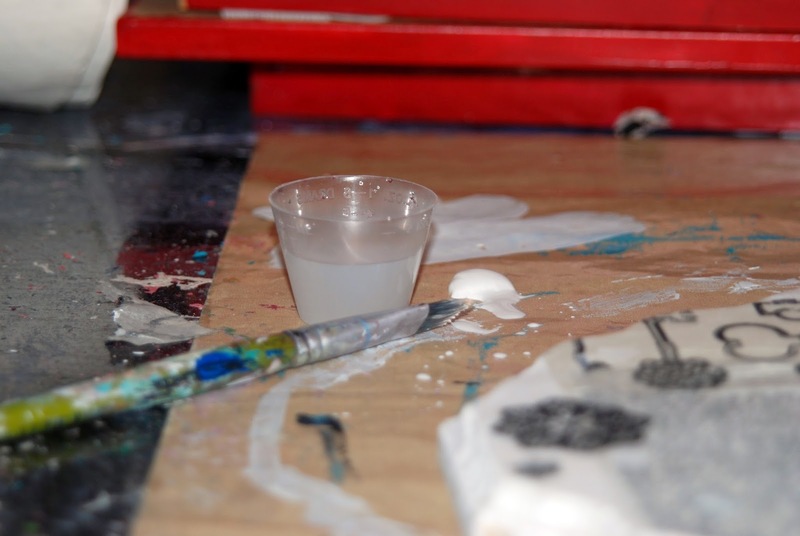 I mixed a little bit of plain white gesso with water to create a 'wash' over the paper. The effect was perfect!! 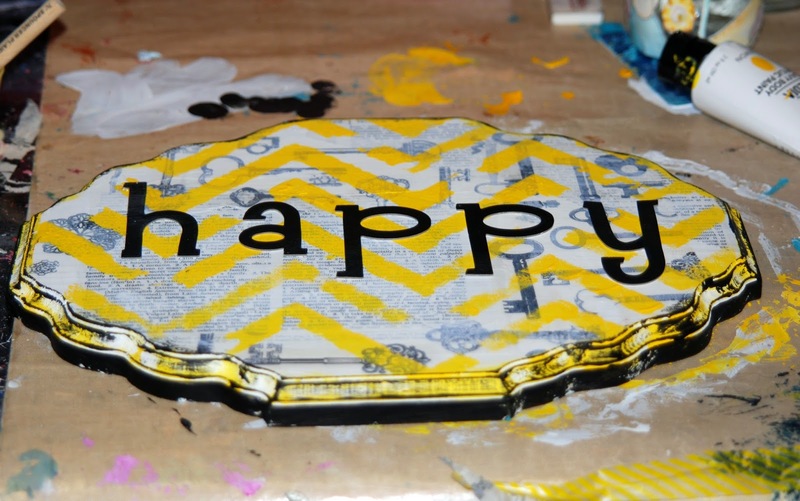 Then I grabbed a chevron stencil and used my Dina Wakley Lemon Heavy Body Paint to stencil onto the black and white paper. I added some black letters and used Dina Wakley's black gesso to go around the edge of the wood. I added some picture hanging strips and put her up on the wall!! And then I stuck the Happy piece on the wall!! I love it!! It finished off the wall collection!! Now, I just need to figure out if I should paint the table yellow, gray or white? 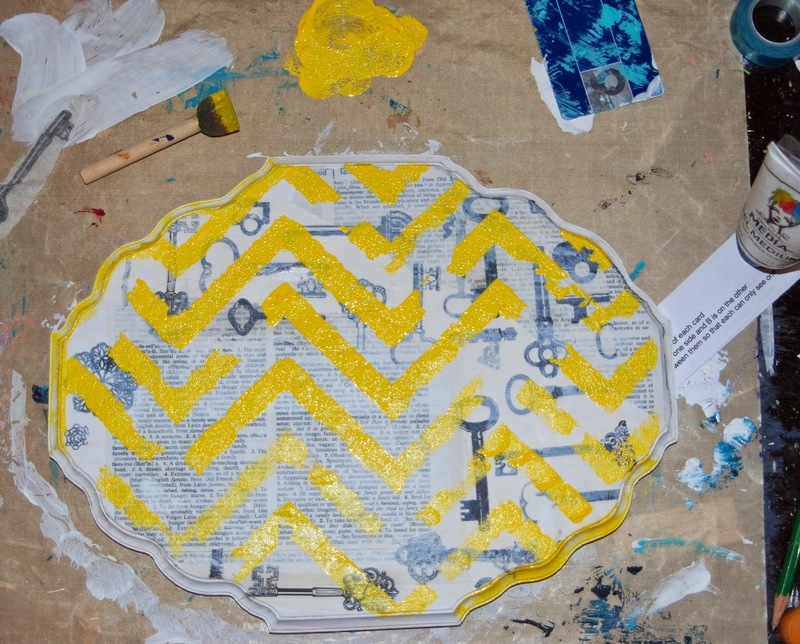 So keep creating and using your pieces to decorate your house!! Putting up something I made makes us feel more at home in our new space!! 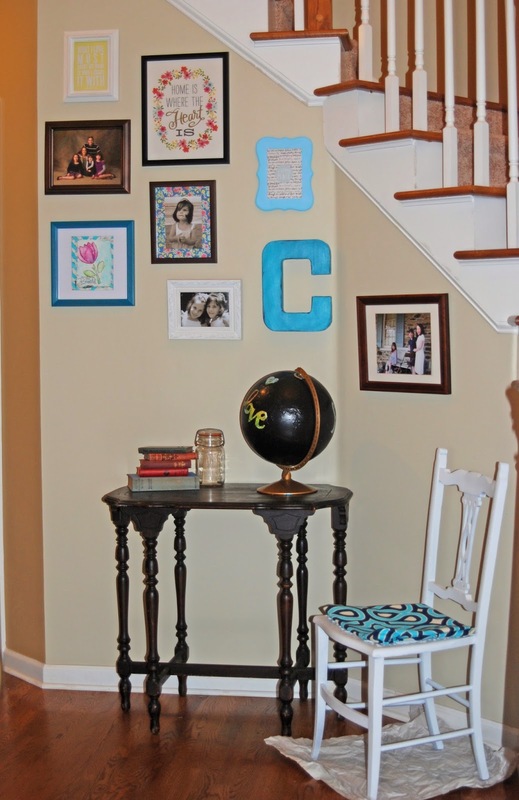 This is another awesome project, and just perfect for your spot on the wall! 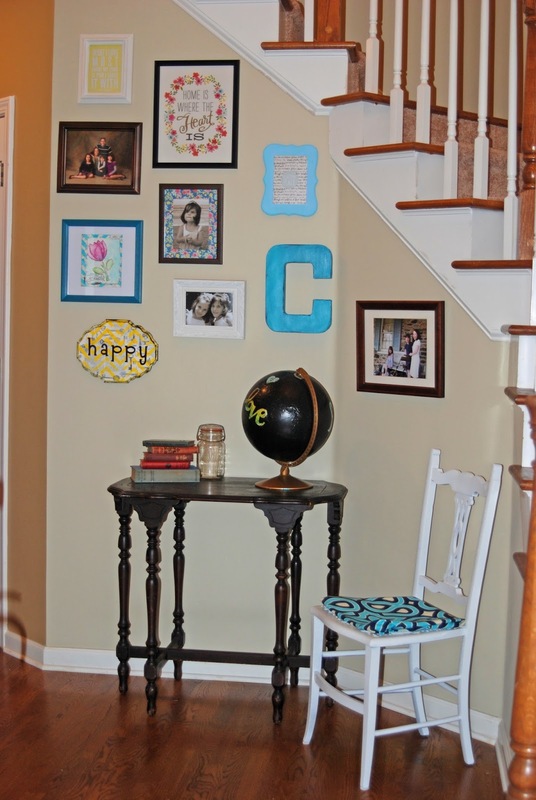 What a 'happy' way to dress up your entryway Karen! S0 bright and fun! Love it and I think you should do the chair in a light gray which I think would play off so well off the yellow. Wonderful piece of art decor. Love your new wall! It looks fab! This is lovely. Great art project. 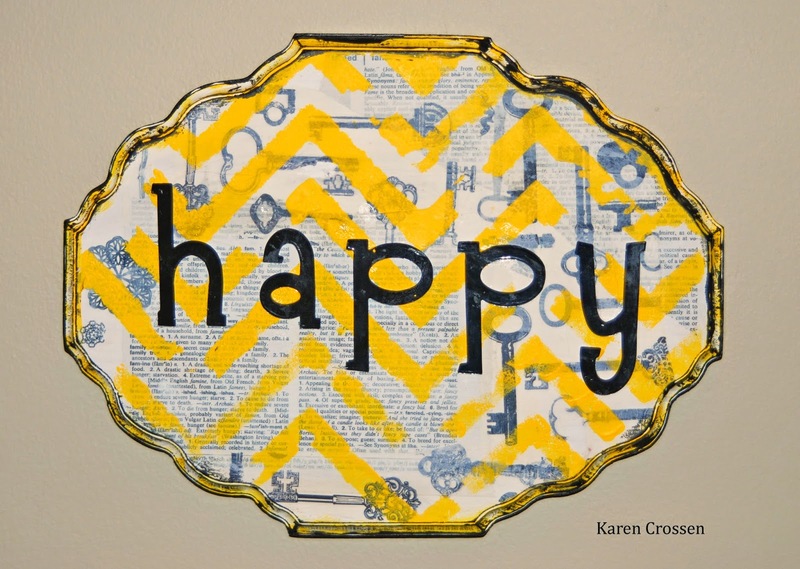 LOVE this with the yellow chevrons! FAB wall art!